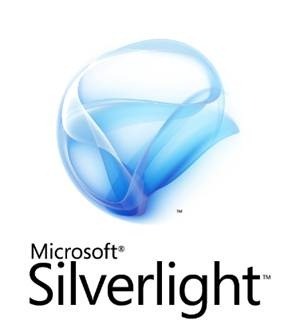 Today, on 2nd December 2010, at the delivering keynote on “The future of Silverlight “, Scott Gu announced about Silverlight 5. 2. Trick play: This allows video to be played at different speed and supports fast forward and back. 4. Digital rights management advancements allow seamless switching between DRM media sources. 6. Developer will able to debug data binding. 7. Developer will able to set breakpoint on binding. 8. Enable extensive MVVM support Debugging support now allows breakpoints to be set on a binding, so you can step through binding failures. 9. Implicit DataTemplates allow templates to be created across an application to support a particular type by default. 10. Ancestor RelativeSource allows, for example, a DataTemplate to bind to a property on the control that contains it. 11. Binding in style setters allows bindings to be used within styles to reference other properties. 12. The DataContextChanged event is being introduced. Markup extensions allow code to be run at XAML parse time for both properties and event handlers, enabling cutting-edge MVVM support. 13. Reduced network latency by using a background thread for networking. 14. WS-Trust support: Security Assertion Markup Language authentication token. 15. Reduced network latency by using a background thread for networking. 16. XAML parser improvements that speed up startup and runtime performance. 17. Support for 64-bit operating systems. 18. Graphics Processing Unit (GPU) accelerated 3-D application programming interface (API) provides rich graphics on the Web for building advanced data visualizations and rich user experience (UI). 19. Immediate mode graphics API allows direct rendering to the GPU. 21. Hardware acceleration is enabled in windowless mode with Internet Explorer 9.